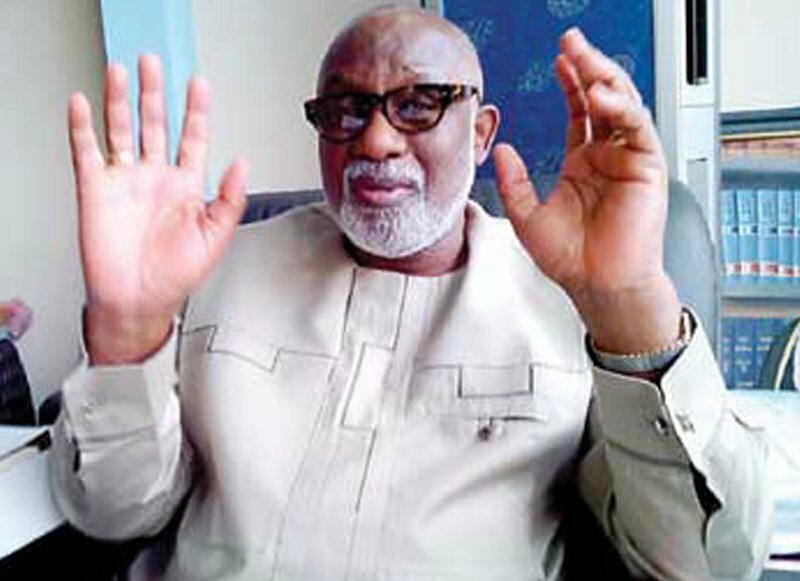 The Ondo State Governor, Mr Oluwarotimi Akeredolu lost the senatorial poll in his unit to the Action Alliance (AA) while the All Progressives Congress (APC) won in both Presidential and House of Representatives polls. In the presidential and election, the APC scored 147 votes while PDP scored 30 votes while in the senatorial poll, AA candidate, Dr Tunji Abayomi, scored 125 votes compared to 33 votes scored by APC and 30 votes of the Peoples Democratic Party (PDP). However, the governor won the unit for APC as the House of Representatives candidate, Timehin Adelegbe, scored 130 votes while the PDP candidate polled 23 votes and AA candidate 14 votes. In Akure South, the Secretary to State Government, Hon Sunday Abegunde, lost his unit marginally to the PDP in both presidential, senate and House of Representatives polls. As at the time of filling this report, the opposition PDP was leading in all the categories in both Akure South and Akure North Local Government going by results of polls in units released so far. The anxiety of the people was noticed as they rushed towards the bus conveying journalists that came to cover the exercise thinking it was the bus that brought the materials. However, voting started as early as 8:00am in some other units in the town. 9:42am at Unit 2 Ijebu Owo Ward 5. According to the governor, election in any democracy is a thing that can be either way, there are so many ways it could go but whichever way it goes, we have to accept, but I am sure APC will win. Meanwhile, there was large turn out of voters in Akure North Local Government area. At Igoba/Isinigbo Ward 5, electorate trooped out to cast their votes. In Akure, the state capital, there was also a large turnout in some units visited by THISDAY. At Ijomu area in Akure South Local Government, a man, who was badly injured by suspected thugs was seen being attended to by men of Ref Cross. According to findings, the man was brought from Isolo area of the Akure Community. Security operatives were seen at various junctions to ensure compliance with restriction of movements. In areas visited, vote buying was not visible as people said money had been shared since previous night and early on Saturday. Also, there were no much incident of non functioning card readers in most places visited. It was also gathered that security was tight in the riverine Ilaje and Ese Odo Local Government which were in the Ondo South Senatorial District. The turnout was however relatively low in the area including Okitipupa Local Government.